Middle row, from L > R : 1. Paulette Cambas, 2. Marlene Piha, ?, ?, ?, ?, Josephine Wassef,?, 11Rosemary ? 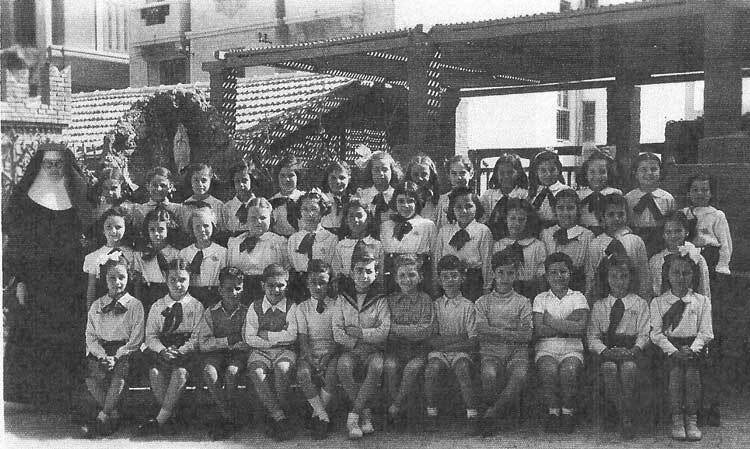 Bottom row, from L > R : Sister Mary Ibar, 6. ? Bonnett; ? ?, 9. ? Azzopardi, 10. Harold Seguna,? ?, Philip Richards (ex.Busutil), ? ?, Manos Kaparis, ? ?, ?? The SH School was located in De Farro (Italien family) Building, in Ibrahimieh.